At this point in my writing process I am still very torn on what topic I would like to cover in my final paper. There are a couple of topics that I am currently considering writing about. The first topic I am considering is the modern corporatization of the farming industry in the United States. Another topic that I find very interesting and would like to know more about is the domestication of the horse. Both of these topics have deeply impacted the way our society functions today. Due to the great impacts of both of these topics find information and credible sources about the topics would be relatively easy. The corporatization of the farming industry however is a much more relevant in today’s society than the domestication of the horse. Because of the more modern relevance I am leaning more towards covering the corporatization of farming at this moment but I would like to further investigate both topics in order to make my decision. In the remainder of this post I will outline some of the main aspects I would research and write about for both of my topics of consideration. The human domestication of the horse dates back thousands of years. When man learned to ride the horse the horizon of travel widened greatly. Before the horse the only means of travel was by foot or by water. Man could now travel much further to places never known as possible to reach by foot or water. This lead to different groups of people coming into contact and being able to trade goods services and more importantly ideas. Expanded means of travel is only one aspect of human life affected by the domestication of the horse. Horses became an extremely versatile tool for helping with physical labor. 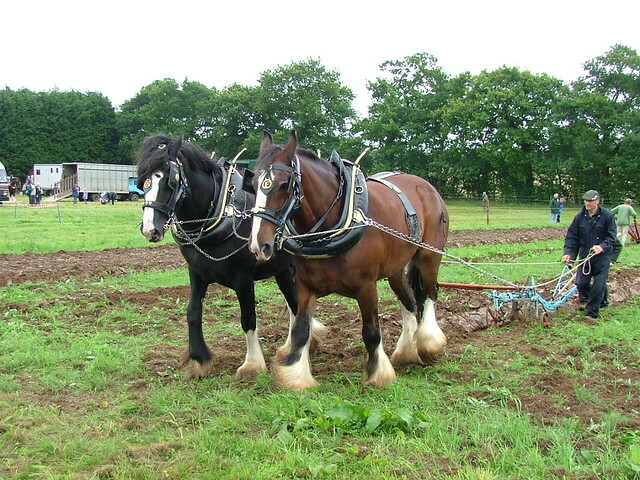 The strength of the horse allowed them to pull many things such as plows for farming and carriages for transport of goods. The domestication of the horse also lead to a whole new style of hunting and a whole new style of warfare never before possible. The farming industry in the United States has changed more in the last couple of decades than it has since industrial machines were introduced during the industrial revolution. One of the major reasons for all of this change is due to the very small number of companies that own and operate the vast majority of farms in this country. The number of smaller privately owned farms has never been smaller and is only decreasing further. This is because the large corporations are either buying out the smaller local farms or pushing them out of business because the small farmers simply just can’t compete. This corporatization of the farming industry is the main reason we are producing more food than we ever have before to support our ever growing population; however what consequences come along with this corporatization. When large companies run farms the animals and crops just become numbers and statistics and the value of their lives are completely neglected. This leads to awful living conditions of farm animals, incredibly unsanitary food, and the use of vast amounts of hormones and fertilizers are used in order to keep the crops and animals up the company’s standards.